A small, cheap type of dead lock. In the strict sense that locksmiths use the term dead bolt means the actual bolt part of the mechanism itself. However it is common for someone to say "get some deadbolts fitted mate!" after a break in. In fact that is the main reason that they are used. It is when the main door lock is not considered secure enough. So what you see above is usually the type of lock that is called a dead bolt. That means that on the outside of the lock there is a cylinder and on the inside there is what is known as a thumb turn. The diagram shows it. Here is an image that you may have seen before but I include it here in case you have landed on this page straight from a search engine. It is from my door locks introduction page so if you have not seen it then go there to pick up the terminology the the letters are referring to. 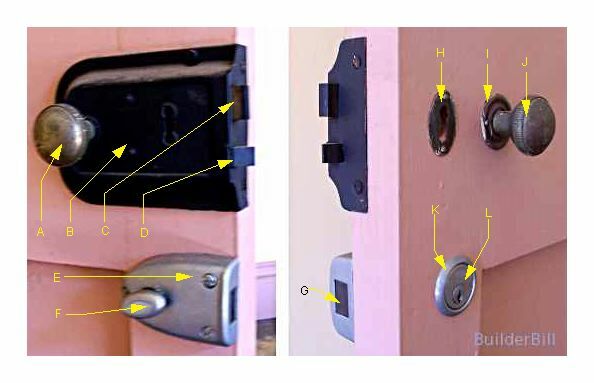 The top lock is a rim lock with a dead bolt and a latch combined. The bolt is marked "C". Below it is a Night latch style Rim fixed Dead Bolt Lock. The dead bolt is marked "G" and the Thumb turn is marked "F". 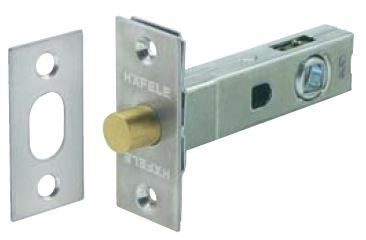 This is another mortice style tubular lock similar to the top one. This one has a cylinder on each side. Once again there is a slight repetition here as I have already mentioned this type of lock elsewhere. 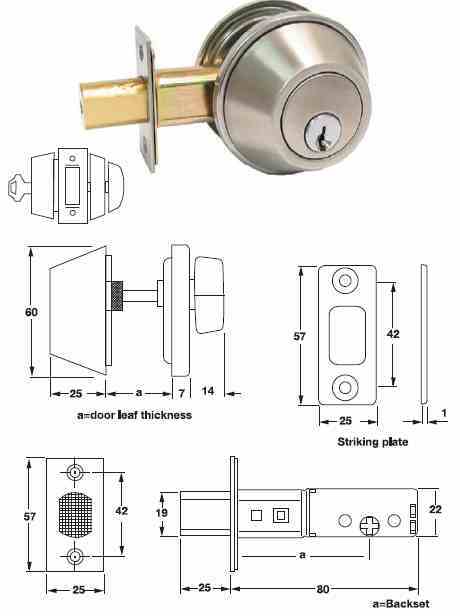 For a section about the safety aspects of this lock go to the deadlock page. A small budget priced lock that is quite common and it is very easy to fix. 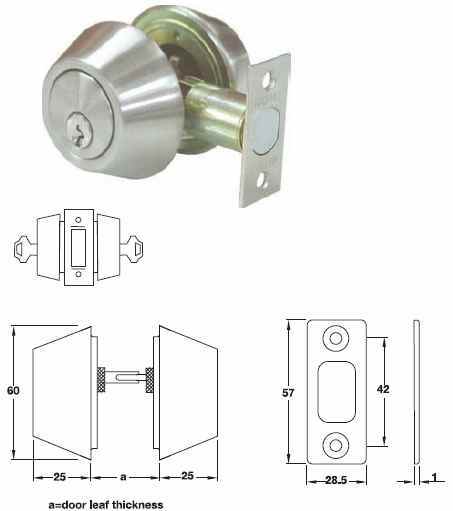 So once again the term Dead Bolt is just about interchangeable with the term Dead Lock, both of them can be spelt with one word or two and both of them can refer to expensive upper end mortise locks, and medium to cheap tubular style mortise locks and to medium to cheap Rim Locks. There is no doubt that the English language is a confusing beast and it is this reason that I try to include diagrams or photographs as I get confused myself, never mind my visitors who are using English as a second language.